People love the idea of tiny homes, but many may not be sure about moving out of their full-sized abode for the small structures. 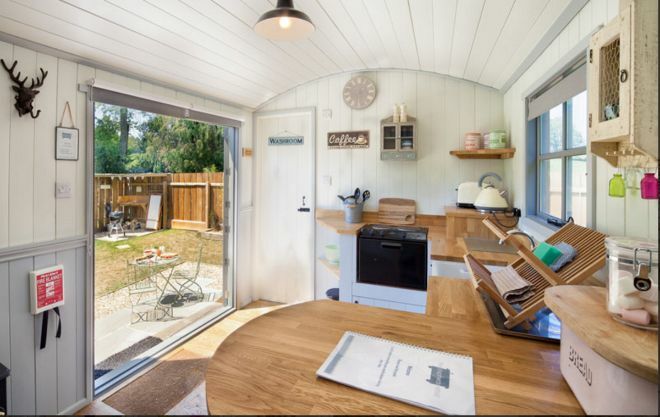 To get an idea if tiny living is right for you, taking a vacation to Shepherds Hut Retreat in Somerset, England, may be just what you need to help you make the decision. 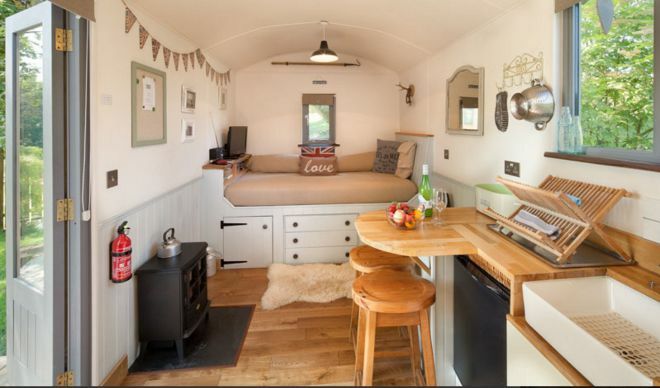 According to Shepherds Hut Retreat, the place is located in South West England. 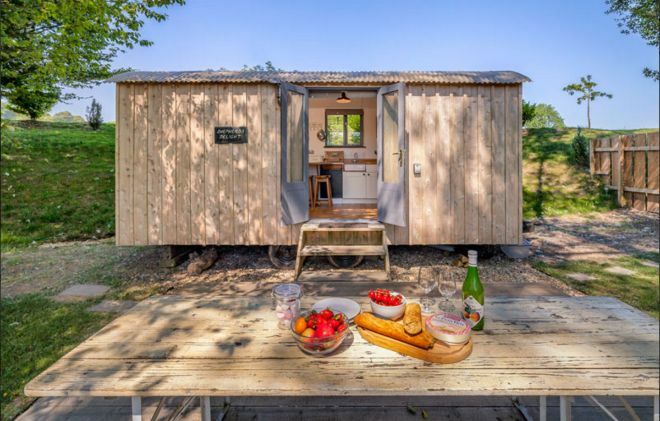 Four huts are set up so that visitors can capture views of country animals and scenery and enjoy the tranquility of getting away from the hustle and bustle of regular life. The retreat is close enough to Hinton St. George that visitors can go there to catch a bite to eat or to see the sites. Each hut is 160 square feet of beautifully decorated space. The interiors have been designed and decorated by Rocco and Rose of Dorset, England, and decorated in a vintage style. 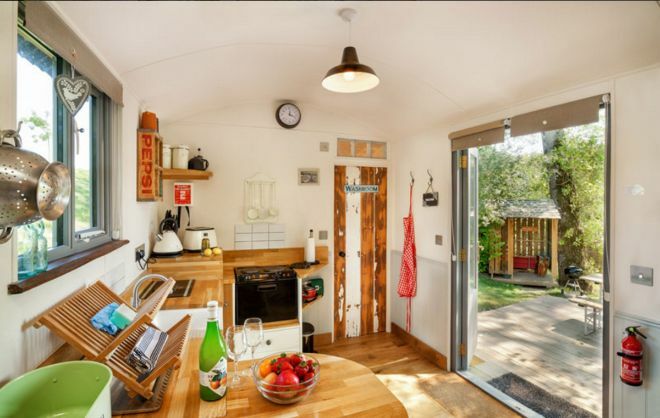 The huts are powered by a 50 kW solar p.v. bank, and filtered spring water is pumped to the huts. Each hut is made from local timber and recycled materials. In keeping with the eco-friendly theme, the huts are cleaned with eco products. Each hut comes with its own private deck and fire pit for a sense of solitude. For those who don't want to travel to town to eat, the hut is fully equipped with a full kitchen. 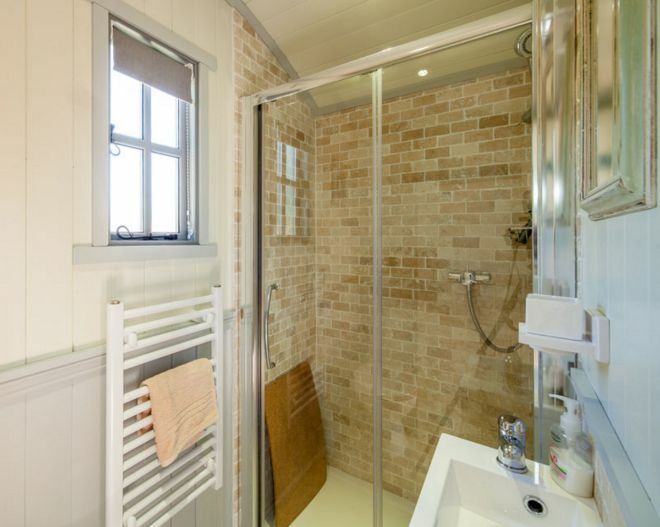 A separate bathroom gives the guests the privacy they want while keeping the huts spatially efficient. 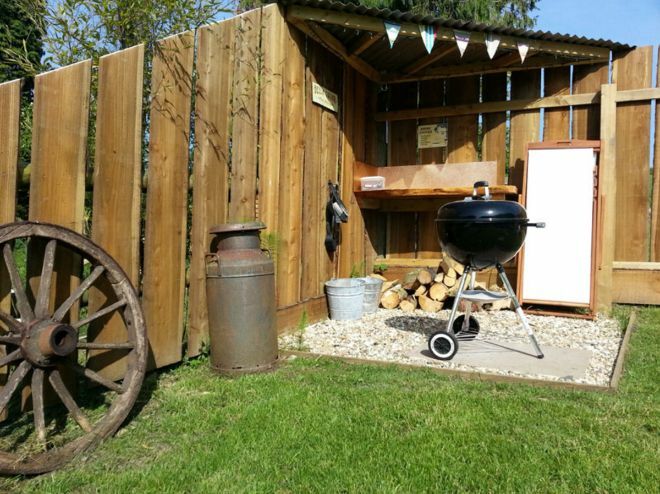 The outdoor barbecue gives an additional cooking option and adds the allure of outdoor cooking and eating. 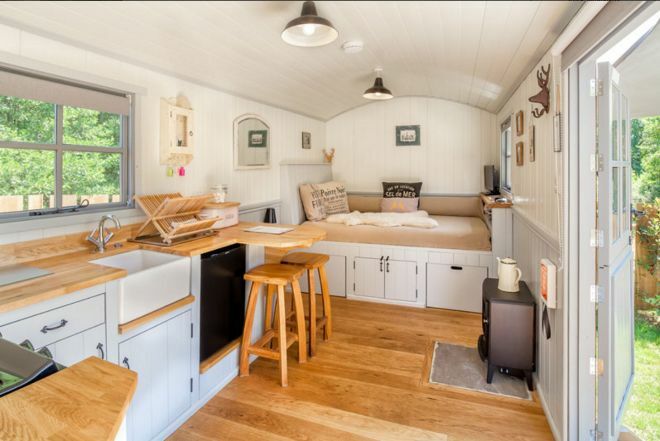 If you're considering tiny living, giving it a trial run on a vacation is a great idea. These quaint huts in Somerset are also a great alternative for those who want to enjoy the perks of the outdoors without the dirt and work of actually camping. 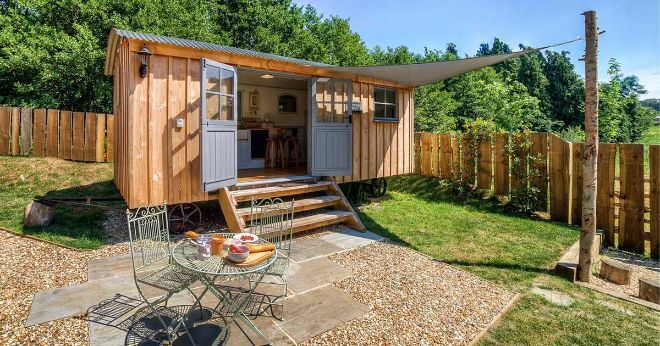 As The Shepherds Hut Retreat puts it, "glamping" allows a person to "experience nature in luxury." How great is that? It almost sounds incredible when you know what Tumbleweed was able to fit in this tiny abode.